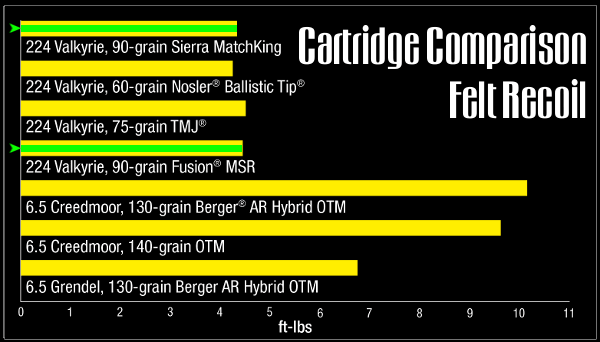 Do we really need a new, high-performance .22-caliber cartridge for the AR15 platform (aka MSR 15). Federal thinks so. Federal has introduced a .22-Caliber Hot Rod cartridge — the .224 Valkyrie. Designed to out-perform the .223 Rem and .22 Nosler while still running well in ARs, the new .224 Valkyrie offers excellent long-range performance when loaded with heavy, high-BC bullets. The performance is impressive. Federal says that, when loaded with a 90-grain Sierra MatchKing bullet, the .224 Valkyrie will stay supersonic all the way to 1300 yards, while offering substantially less recoil than other AR-friendly cartridges such as the 6.5 Grendel. 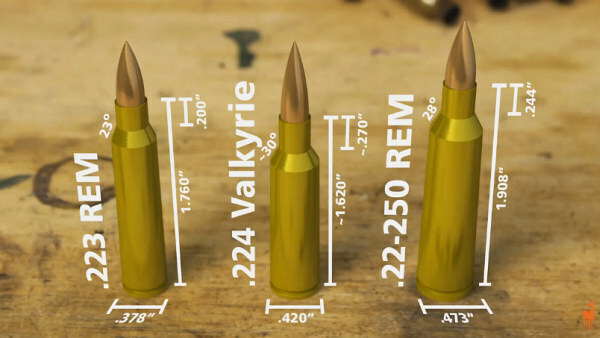 Here are three videos that give insight into the .224 Valkyrie cartridge and rifle options. We think the two applications that make most sense for this new cartridge are: 1) PRS Gas Gun matches (Open Class) — you get 6mm Creedmoor ballistic performance with much less recoil for faster shot transitions; and 2) Long-Range (400+ yards) varminting — you get performance similar to a 22-250 in a cartridge that works with your existing AR15 lower. That will really help with those long shots on P-dogs. The new .224 Valkyrie is basically a 6.8 SPC case necked down to .22-caliber. You can use your existing AR15 lower, but you will need a dedicated .224-Valkyrie upper, or at the minimum a new barrel, modified bolt with proper bolt face, and 6.8-compliant mags. 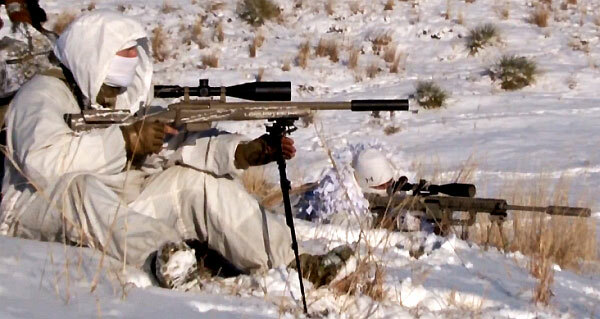 In this video, a shooter runs a tactical course using a rig chambered for the .224 Valkyrie. You can see how it functions 100%. This video also provides ballistic comparisons with other “enhanced performance” AR15 cartridges. Image from .224 Valkyrie Video from The Social Regressive, linked below. Savage Arms has a new AR15-platform rifle chambered in .224 Valkyrie. This will debut at SHOT Show 2018. The new Savage MSR 15 Valkyrie has some nice features: crisp two-stage trigger, adjustable gas system, and tough Cerakote finish on lower and upper. The 5R-rifled, 18″-long barrel comes from the factory with an effective muzzle brake. MSRP is $1499.00. We wish the barrel was a bit longer (at least 22″), but the adjustable gas system is a nice feature that lets you tune the cycling for your ammo and shooting discipline. Savage has high hopes for this rifle. With 90gr Federal factory ammo, it produces only half the recoil of larger cartridges with similar long-range performance. Here is a video showing a prototype Savage with a 22-inch barrel. The Ammo was Federal Premium pushing a 90gr SMK at 2680 fps. Note how “calm” the rifle stays on the bags. There is no muzzle lift and rearward recoil is minimal (see 0:10). You could work a varmint field very effectively with this rifle. Savage MSR 15 Tip from EdLongrange. We welcome reader submissions. 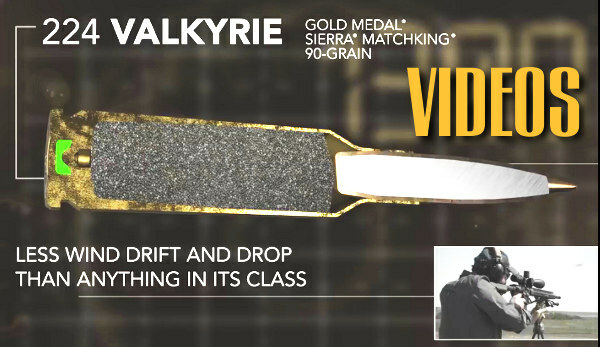 Share the post "Valkyrie Video Fest — New .224 Valkyrie Unveiled"
Nosler will produce 22 Nosler ammunition in various bullet weights, starting with 55 grain and 77 grain. To run the 22 Nosler, an AR owner will need a new upper and 6.8 SPC type magazines. This video explains how to convert your AR-platform rifle to run the 22 Nosler. 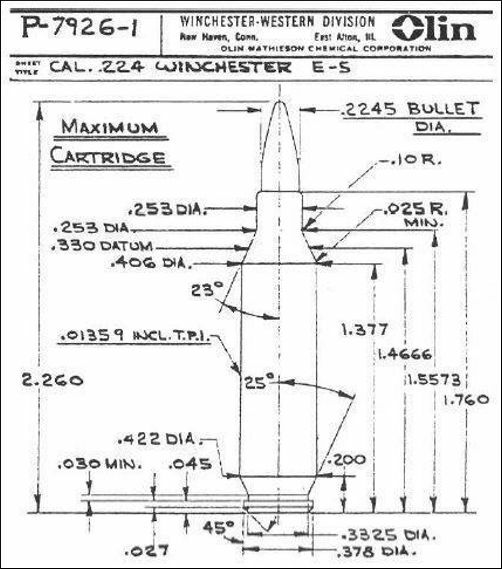 Another poster said this cartridge resembles the “.220 Thunderbolt” a wildcat devised by John Scandale in 2004. Posting on Facebook, Mr. Scandale said the designs were very similar. 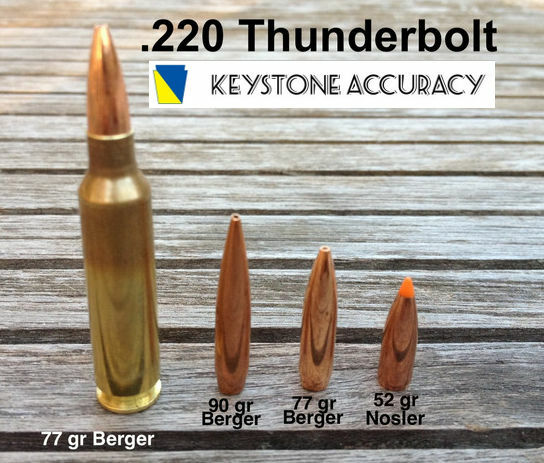 According to Keystone Accuracy, the .220 Thunderbolt’s “design origin came from the now largely popular 6mm Hagar in its infancy stage back in 2003.” While it looks very similar to a 6.8 SPC necked to .224, the .220 Thunderbolt is different because the 6mm Hagar brass is 0.100″ longer than 6.8 SPC. Read History of .220 Thunderbolt. Neck-up the 22 Nosler to .25 Caliber? 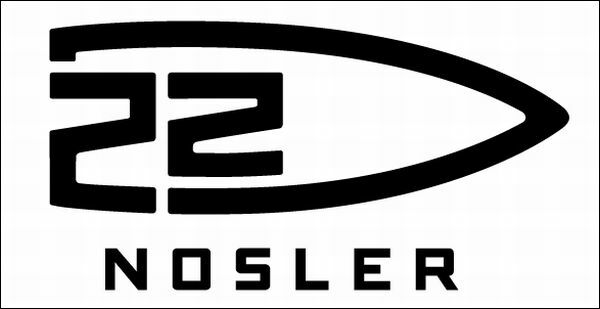 Share the post "22 Nosler — More Details, Load Data — And a Bit of History"
Editor’s Note: We originally ran this story in 2010. 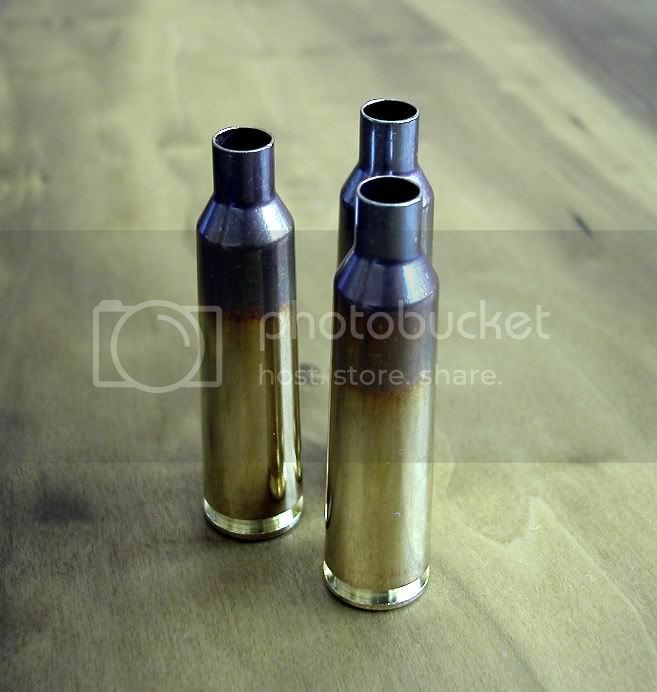 Since then we have had many reader inquiries about using .22-250 Lapua brass for a 6mm cartridge. Well our friend Robert Whitley worked hard on that concept a few years back, when Lapua .22-250 brass first became available. He came up with a nice 30°-shoulder wildcat that matches the accuracy of the best mid-sized 6mm cartridges. Read all about Whitley’s 6mm-250 Imp 30 below. “I just received a box of the new Lapua .22-250 cases — beautiful brass! My real desire with it was to make it into a 6mm version, preferably something that was ‘no neck-turn’ with a .308 Win-type body taper that would work well in bolt gun and semi-auto magazines and would have a capacity to allow superior velocities. I considered the 6XC, but since you have to bring a whole lot of the shoulder of the brass up into the neck (when you re-form the brass from .22-250 to 6XC) that would necessitate neck-turning it because with Lapua brass the shoulder metal is thicker than neck metal of the brass. Share the post "Accurate 6mm Wildcat Made with Lapua .22-250 Brass"
Weatherby now offers a sub-MOA accuracy assurance on many of its rifles. As shown below, the VANGUARD® Series 2 RC (Range Certified) Varmint rifle comes with a SUB-MOA guarantee as well as a factory-shot target signed by company President Ed Weatherby himself. 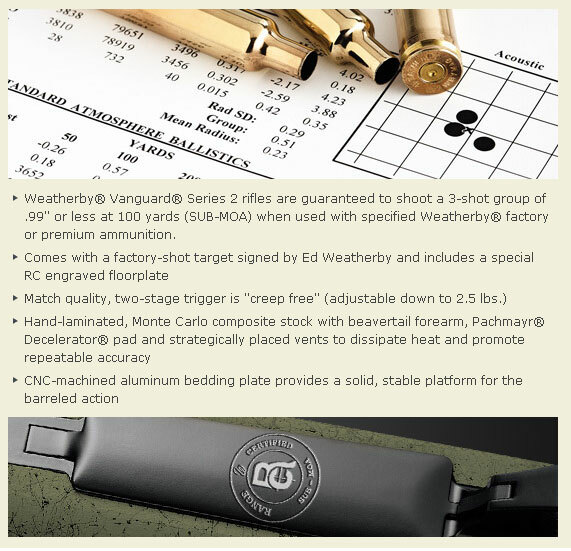 Other Weatherby “RC” Rifles, such as the new Mark V Ultra Lightweight RC, offer the same guaranteed performance. All RC rifles are guaranteed to shoot SUB-MOA (a three-shot group of .99-inch or less) with specified Weatherby factory or premium ammunition. 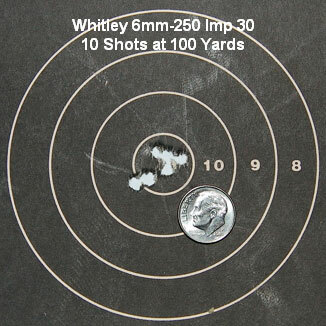 Range Certified rifles are tested at Weatherby’s modern indoor range. Range technicians mount premium optics, bore-sight, and test fire each rifle to determine the most accurate load using the Oehler Research 83 Ballistic Imaging System. After testing, the rifle is cleaned and packed (minus optics) with the target signed by Ed Weatherby. Each rifle sports a special RC engraved floorplate. Share the post "Weatherby Offers ‘Range-Certified’ Sub-MOA Varmint Rifle"
In our Shooters’ Forum, there was an interesting discussion of the 6.5×47 Lapua case necked down to .22 caliber. Forum members discuss the pros and cons of a “22×47 Lapua” wildcat versus the classic 22-250 or a 22-250 AI. 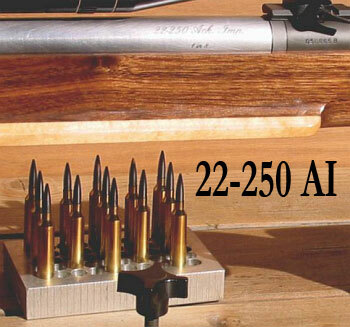 Forum member Vic C. from Oklahoma has experience with the 22-250 AI, and has recently built a 22×47 Lapua. Comparing the 22-250 AI with the 22x47L, Vic tells us: “Accuracy should be very good from either caliber in custom barrels.” Vic continues: “I have two 22-250 AI barrels and a new 22X47 Lapua barrel that I’ve just started load testing. The 22X47 Lapua case capacity is slightly more than a standard 22-250 Rem and less than the 22-250 AI (fireformed). The advantage of the 22X47 L, of course, is the availability of Lapua brass. I have Remington, Winchester and Federal brass for the 22-250 AIs and prefer Remington which I’ve found to be quite good, but not up to Lapua standards of course. Share the post "22-6.5×47 vs. 22-250 Standard and Improved"
GS Arizona, a top small-bore and centerfire shooter, uses the 6XC cartridge in some long-range matches. He has tried a variety of different types of brass for this cartridge, including necked-up 22-250 brass and Norma 6XC brass from David Tubb’s (Superior Shooting Systems). 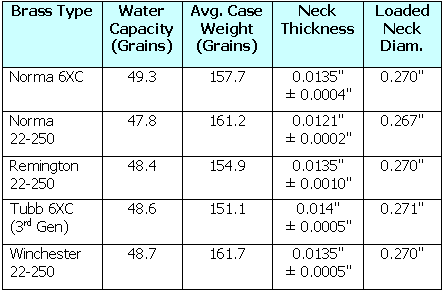 German’s measurements reveal significant differences in water capacity, as well as neck-wall thickness. GS has noted significant variances in capacity among the different “flavors” of brass. Norma-headstamp 6XC brass has 49.3 grains of H20 capacity, while Norma 22-250 brass holds only 47.8 grains of H20. Third-generation Tubb-brand 6XC brass is somewhere in the middle, with 48.6 grains of capacity. The tester did not have a chance to measure the high-quality Lapua 22-250 brass introduced in 2010. NOTE: These differences in case capacity are large enough that you MUST adjust your load to the brass type. We ran a 6XC QuickLOAD simulation with 115gr bullets and H4350 powder. QuickLOAD predicted that the observed difference in case capacity can result in pressure differentials as much as 4,500 psi! In other words, if you switch from Norma 6XC brass to a lesser-capacity brass type, your pressures could rise 4,500 psi (using H4350 and 115gr bullets). We recommend sticking with the Norma 6XC brass. It is available from DavidTubb.com for a reasonable $69.00 per 100 cases. These days, that’s cheaper than many other types of premium imported cartridge brass. German noted that the different types of available brass varied quite a bit in neck-wall thickness — from 0.0121″ (Norma 22-250) to 0.0140″ (Tubb 3rd Gen). Consequently the diameter of loaded rounds also varied. 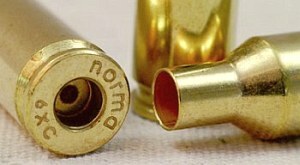 Depending on the brass you chose, your loaded rounds could be 0.267″ at the neck or 0.271″ (with no-turn brass). 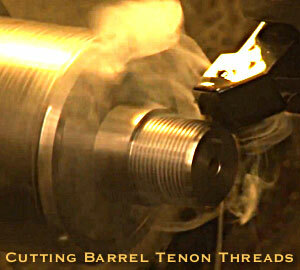 That’s a huge difference and it’s something you need to take into account when you have your chamber cut for a barrel. For a cross-the-course rifle, you might want a chamber with at least .003″ total clearance over a loaded round. Obviously, to achieve that clearance, you’ll need to set chamber dimensions base on your preferred type of brass. NOTE: The research for this story was conducted in 2010. Dimensions may have changed with more recent production, so you should double-check the case capacity of your own 22-250 or 6XC brass. Share the post "Comparative Specs for Various 6XC Brass Sources"
Lapua’s new 22-250 brass has finally started to arrive on dealers’ shelves. Forum member William P. (aka “Heath”) just got two boxes of the new brass. Both boxes have the same lot number. Heath was kind enough to sort the brass and report his findings. Based on Heath’s 200-count sample, we can say this new brass is very, very consistent in weight. The total weight spread (delta) for 200 cases was just 1.4 grains! And the vast majority, 83%, were within 0.7 grains in weight (160.3 – 161.0). For the varminter, sorting may be superfluous. 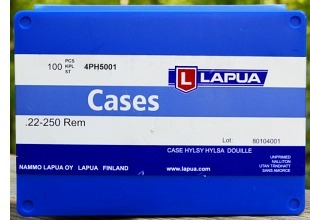 Once again, Lapua has produced a superb new product, and we love the new, blue plastic boxes. 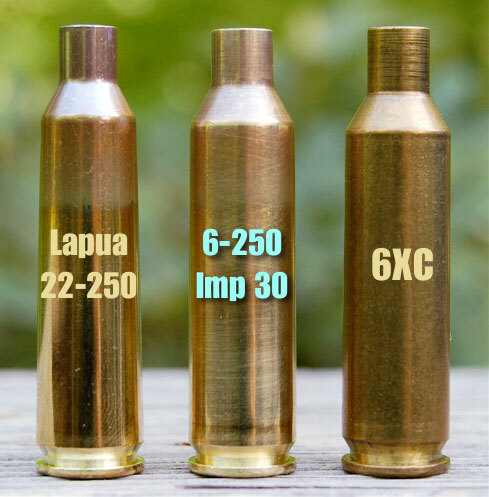 FYI, you 6mm shooters should know that the Lapua 22-250 brass can be made into quality 6XC brass. And it’s even easier to create a 6-250 wildcat. In May, Robert Whitley explained how he created a tack-driving 6-250 Wildcat from the new Lapua 22-250 brass. Share the post "New Lapua 22-250 Brass is Ultra-Consistent in Weight"
Howa previewed some impressive new varmint models at SHOT Show 2010. We liked the new Howa 1500 Thumbhole. This features a skeletonized, laminate varmint stock with a nice wide, flat fore-arm. 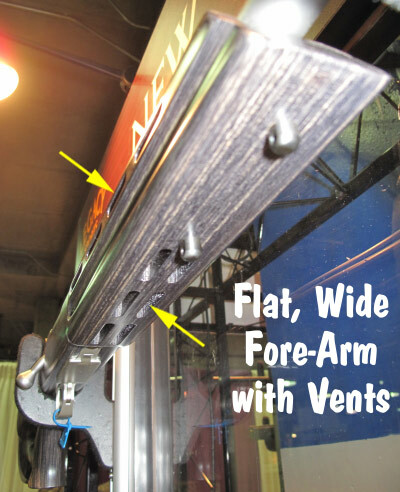 The fore-arm is about 2.25″ wide and is completely flat on the bottom. Slab sides run almost all the way back to the action. This provides a very stable platform that should track well in the bags. Varminters put lots of rounds down-range, so barrel heat can be an issue. To help keep your barrel cool, the fore-arm has four “Buick” vents on each side (left and right), plus SIX large vents cut in the bottom. Behind the action there is a comfortable pistol grip carved at a good angle for shooting from the bench. It has a nice palm swell at the bottom but is narrow enough at the top that you can get your thumb around for secure, properly aligned grip. I tried out this stock and it was very comfortable. The slightly raised comb was shaped nicely and the grip really felt good in the hand. The middle section of the stock is completely carved away (presumably to save weight). However on the last 5″ or so, the stock has a conventional section on the bottom. This provides a solid platform to ride the bags. The new Howa 1500 Thumbhole Varminter will cost between $695 and $830 depending on chambering. It will be offered in both short action and long action versions. Available chamberings are: 204 Ruger, 223 Rem, 22-250, 243 Win, 6.5×55, 25-06, 270 Win, 308 Win, 30-06, 300 Win Mag, 7mm Rem Mag, and 338 Win Mag. For more information, contact Legacy Sports Int’l, USA Distributor for Howa rifles. Share the post "SHOT Show Report: New Howa 1500 Varminter with Bench-Friendly Stock"
We have confirmed that Lapua will produce and distribute 22-250 cartridge brass starting in early 2010. The official product release will be at SHOT Show in Las Vegas (Jan. 19-22). We don’t have production samples yet, but there are about 1000 pieces of brass in the hands of testers in the United States at this time. This stuff is for real — CLICK THIS LINK for PHOTOS. One of the folks lucky enough to get his hands on the new Lapua 22-250 brass is writer/shooter Steven Boelter, author of the Rifleman’s Guide to Rimfire Ammunition. Steven has measured and inspected the new brass and he says it appears to be “on a par, quality-wise, with Lapua’s 220 Russian and 6BR brass”, which is saying a lot. Steve adds that: “[what I have] is in fact part of a pre-production run, and the main stuff will be ready for second quarter, 2010″. Steven is working on an article for Precision Shooting magazine that will include exact dimensions for the new brass, as well as initial load testing results. An exact release date for Steven’s article has not yet been set, but Boelter hopes the story will come out in January or February. Boelter can’t say much more about the brass prior to publication of the article. But we can confirm that it has a large primer pocket, standard 22-250 rim size, and it is annealed like other premium Lapua brass. Steven has posted a couple photos of the brass on the Saubier.com web site. 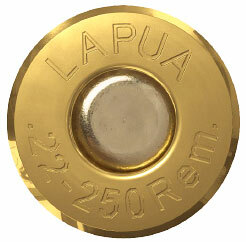 We’re always excited when Lapua decides to expand its line of cartridge brass. For 22-250 shooters, who will now have a new ultra-high-quality brass option, the news of Lapua 22-250 brass must be like an early Christmas present. 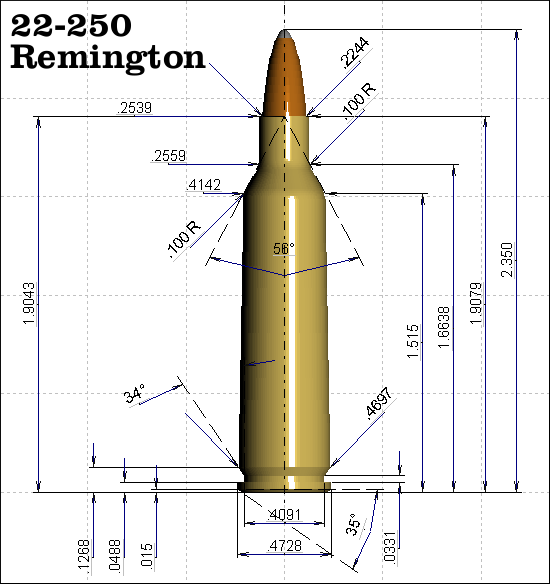 Above is a QuickDESIGN diagram of the 22-250 Remington cartridge based on CIP Metrics converted to English units. This is NOT the official print for the new Lapua 22-250 brass, which may vary slightly in dimensions. We suggest you get the actual production brass in hand before ordering new chamber reamers or dies. 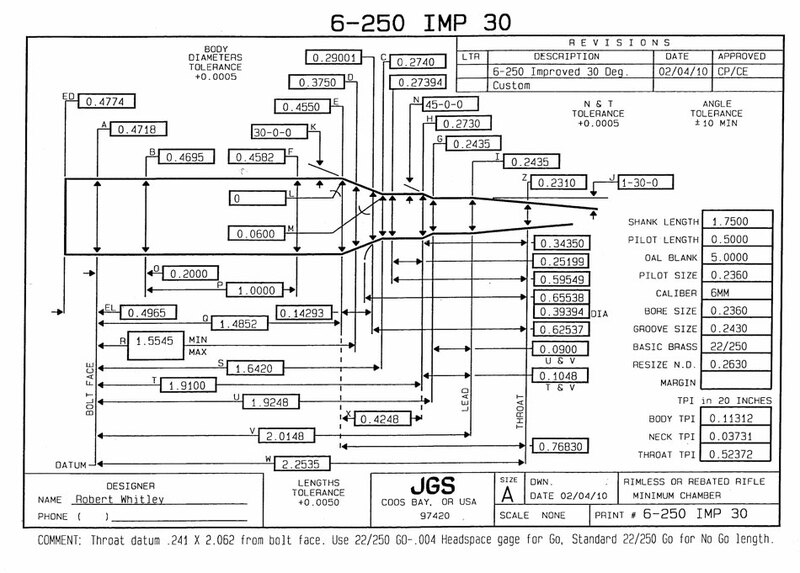 Share the post "Big News: Lapua Will Offer 22-250 Brass in 2010"